Completely remodeled by the renowned Grant Kirkpatrick AIA, this home features crisp lines, tall ceilings, and dramatic details, including a show-stopping open fireplace in the great room. Contemporary architecture is underscored by an abundance of natural light. With an open floor plan, glass walls, and a gallery skylight in the great room, the overall effect is a museum-worthy modernity. Floor-to-ceiling windows are a natural focal point of the master suite, while stunning dark marble and sleek fixtures make the master bath a striking retreat from day-to-day stress. Two additional bedrooms provide ample room for guests or an in-home office. A gourmet kitchen with a large island, stainless steel appliances, and spacious dining room make everyday entertaining easy. And with ready access to the patio and a nearby den featuring built-in surround sound, there are plenty of ways to turn even everyday events into memorable occasions. 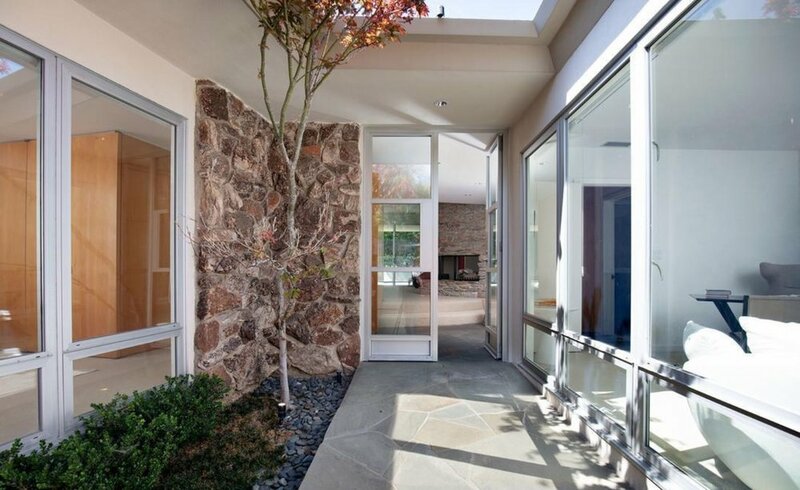 Seamless indoor/outdoor living is an L.A. ideal and this home doesn't disappoint. A sparkling pool and personal patio offer natural invitations to embrace Southern California sunshine, while privacy fencing and lush green surroundings give the yard an undeniable sense of seclusion. Situated on one of the most sought-after streets in one of Los Angeles' most-desired neighborhoods, 1129 Angelo Drive brings stunning architecture and posh details to an unparalleled location. A truly one-of-a-kind solution for convenient living in the heart of L.A., this home offers excellent city access without compromising any of the luxuries.